With the weekend coming along, we know you are definitely excited and ready to drop the formal looks, suits and ties and slip into your best weekend outfits. And if you’re the typical dapper man, this means outfits that are not just comfy for all the errands and casual hangouts with friends but are also stylish enough to convey your dope swag. 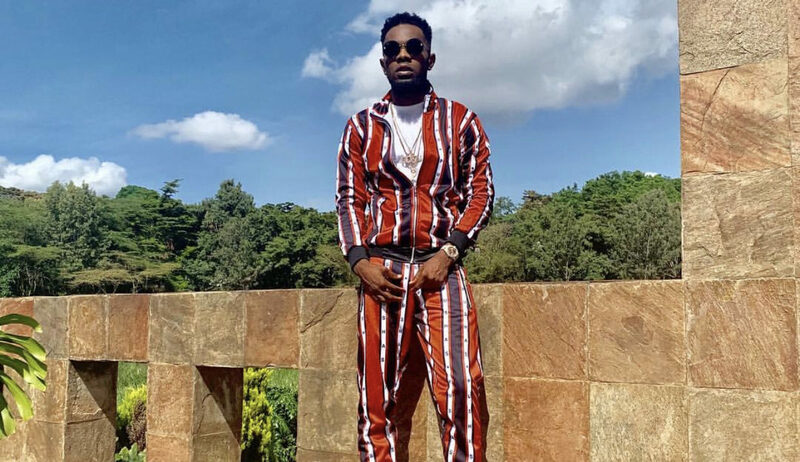 It’s a brand new year and therefore the perfect time to look into switching up your casual style game, which is why we have curated five celebrity-approved looks to inspire your weekend style. In this look, superstar Davido channelled a beach day look – which is always a great idea for a laidback weekend – with the Givenchy shorts, sandals and a rolled-up shirt. We absolutely love this look especially as it is very easy to recreate. Wearing a matching shirt and shorts is a surefire way to come off as stylish and casual. Especially when paired with a pair of white sneakers like DJ Xclusive did. This look ticks all the boxes for a fab weekend outfit – comfortable, practical and stylish. Business casual is a great way to go especially if you are used to more formal outfits. 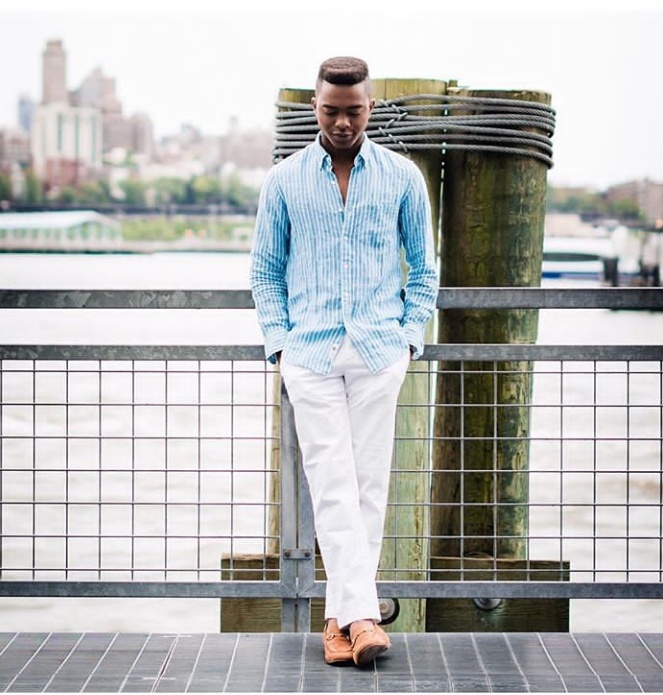 Simply choose more loose fitting clothes like menswear influencer Igee Okafor – ditch the blazer, untuck your shirt and you are good to go. Life is too short to wear boring colours and weekends are even shorter. So if there is ever a time to bring out your colourful side, it’s the weekend. Take a cue from singer Patonranking and wear super colourful attire. Notice how he balanced the look with a simple pair of white sneakers? 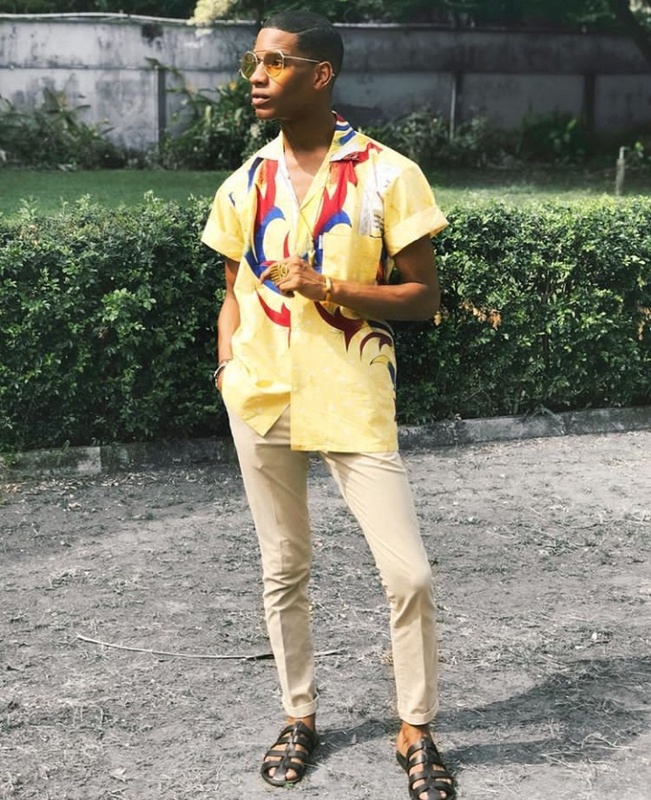 A statement shirt like this one on style influencer Denola Grey, is always a great idea and a good way to appear super stylish, especially when every other thing you have on is casual and toned down. Not to mention, swapping your regular shoes for sandals is a good way for you to switch it up and let your feet breathe.